IT security: CISSP, OSCP, CEH. *nix systems: LPIC-3 Security, BSDA. Networking: CCNA Security, CCNA Routing & Switching. Each of these certification help me bring you better content on this website. If you are unsure about IT certification usefulness or think they are plain useless, don’t miss my post: Are certification useful?. Missing reviews are on my todo list, stay tunned! Published: Wed 04 October 2017 in Opinions. Facts, advices and personal impressions on the EC-Council CEH certification. 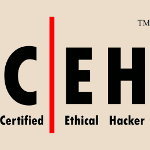 What: The EC-Council Certified Ethical Hacker (CEH) is a technical certification on penetration testing. While being oriented toward technical people, the certification itself goes lightly on the practical side but insists instead on having a broad general culture. This certification covers definitions, concepts, tools, as well as a strong focus on ethic. This certification never go really deep in any subject, but instead attempts to cover the widest possible range of topics related to pentesting. Example of covered topics include cryptography, regulation and compliance, operating systems (client, server and mobile systems are all covered), networking (including wireless networking), procedures, code review, physical security, social engineering and, last but not least, ethic. When: This certification has no prerequisite (a two years experience in IT security allows to avoid the training requirement, but subscribing to an approved training removes any experience prerequisite). Published: Fri 22 September 2017 in Opinions. Facts, advices and personal impressions on the BSDA certification from the BSD Certification Group. What: The BSD Associate (BSDA) is a technical certification on BSD systems administration. It covers DragonFlyBSD, FreeBSD, NetBSD and OpenBSD. This certification covers general BSD systems administration (there is not much about system architecture itself), the specificities of each covered BAD flavors, common Unix services administration, and also a few non-technical points notably on the BSD license and its difference with other licensing types. I personally find the official naming misleading, as the requirement for this certification actually targets system administrators, not assistants. When: The BSDA has no prerequisites, but is very technical and covers a wide range of domains so I would certainly not recommend it for the beginners. It can be seen as the BSD counter-part of the LPIC-2 Linux certification. Published: Sun 03 September 2017 in Opinions. Facts, advices and personal impressions on the Linux LPIC certification (all levels). What: The Linux Professional Institute Certification (LPIC) is a technical certification on GNU/Linux systems administration. This certification is vendor-neutral and covers the major GNU/Linux distributions (Debian, SUSE, Red Hat) and their derivatives. LPIC-1 “Linux Administrator”: This level studies the GNU/Linux system itself: how it works, how to administrate the local system with some knowledge on troubleshooting and main services. LPIC-2 “Linux Engineer”: This level has two folds: on one side you study advanced administration and troubleshooting techniques, on the other you now envision the GNU/Linux system as part of the corporate ecosystem and study the administration of the most common network services (here again vendor neutral, so you should be comfortable with both Apache and Nginx HTTP servers for instance). Published: Fri 01 September 2017 in Opinions. Facts, advices and personal impressions on the Cisco CCNA Security certification. What: CCNA Security is a technical certification about general network security in a professional context. It describes the typical threats potentially affecting such networks then various Cisco technologies allowing to mitigate them. This covers the networking devices themselves, but also the data both in transit and at rest and end-user devices both corporate ones and personal one (BYOD). When: Obtaining this certification requires to have at least the CCENT certification (I recommend having a CCNA Routing & Switching, though). While the CCENT or CCNA R&S is a prerequisite to be granted the CCNA Security certification, they are not technically required to take the exam. Published: Mon 21 August 2017 in Opinions. Facts, advices and personal impressions on the Cisco CCNA Routing & Switching certification. What: CCNA Routing & Switching is a technical certification about enterprise-grade IT networking from Cisco. It covers the involved devices, protocols and how to implement them using Cisco technologies. When: This is an entry-level certification with no prerequisite. Why: This certification demonstrate a good level of familiarity with enterprise networks and Cisco’s IOS-based devices. It is a de-facto standard in terms of IT networking certification, valuable even for employers using different technologies than Cisco, and is also a prerequisite for several other Cisco certifications. Note that Cisco certifications may not have the actual CCNA R&S certification as a prerequisite, but the CCENT instead which is half of the CCNA R&S. Are certifications useful? A few words about career plans. Published: Thu 17 August 2017 in Opinions. Why the right certification may be beneficial for your employer, for the customers, but above all for yourself. I regularly encounter people claiming that certifications have no use, or at best only help to pass HR screening. I acknowledge that the importance and impact of certification is often over-emphasized by people selling certification-related books and services (which is to be expected: they are selling something, this is advertisement), and I also agree that a certification is not a proof of anything per see. However, I believe that a certification from a well-known and trusted organism benefits the whole IT security chain: it benefits both you, your employer and the final customer. I talk here of “certification from a well-known and trusted organism”. There is a tendency for a lot of websites hosting a few training material to deliver “certifications”, praising the value your resume will get with one of these.